Due to recent changes to the Animal Welfare Regulations in October 2018, ‪from 1st Jan - 28th Feb 2019‬ we will NOT be offering day-care or boarding services. However, dog walking is unaffected. Our sincere apologies but we will update you as soon as possible. With the hectic lifestyle which most of us now have, we all struggle to find time for the little, yet important jobs. 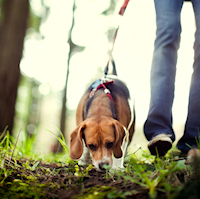 Dog walking and sitting is just one of those things which is so essential, Walkies provide a reliable, welcoming service to cater for every person and every dog. We are a friendly, family run business offering specialised dog walking and sitting making sure the needs of you and your beloved pet are fully taken care of. When it comes to pet sitting you need to know that you have a safe, reliable pair of hands in which to entrust your dog, cat or other family pet. As such we at Walkies Dog Walking Services have a few options available to take care of your dog or puppy. We can provide a home boarding service where we visit your dog at home and ensure that they are well fed, happy and properly exercised. Alternatively, you can place your dog in the care of our family home where you can be confident of twenty-four hour attention given by certified professionals. Pet sitting should not be an extra area of worry for you and now with W.D.W.S you can relax and know that your dog is safe and content. When it comes to walking a dog there is no one as experienced as the team at W.D.W.S. We love dogs and we love what we do, it is because of this that we aim to provide a high level of service, making sure both our clients and their dogs are completely happy. We take into account the age, breed and temperament of your dog and, if you wish, can provide socialisation programs for your pet. With W.D.W.S. you have the reassurance of a reliable, trustworthy service which includes much more than just walking a dog. W.D.W.S offer a dog walking service in Widnes and throughout the North West. Most of our clients tend to be busy working professionals who love their family pet but just need a bit of assistance to ensure their dog receives the right amount of exercise. We can offer a flexible dog walking service in Widnes, always making sure we meet your schedule and all your requirements. W.D.W.S. are dog walking professionals and NARPS UK (Nationwide associates of registered pet sitters). This means that we are recognised pet sitters in Widnes and surrounding area’s. All our staff are checked and cleared with the Criminal Record Bureau. Our entire team are experienced in the health and safety care of small animals and pets.